African memoryscapes in Kerala are preserved through alternative processes of cultural conservation including rituals and beliefs directed towards Kappiri, a spirit who personifies local collective histories. 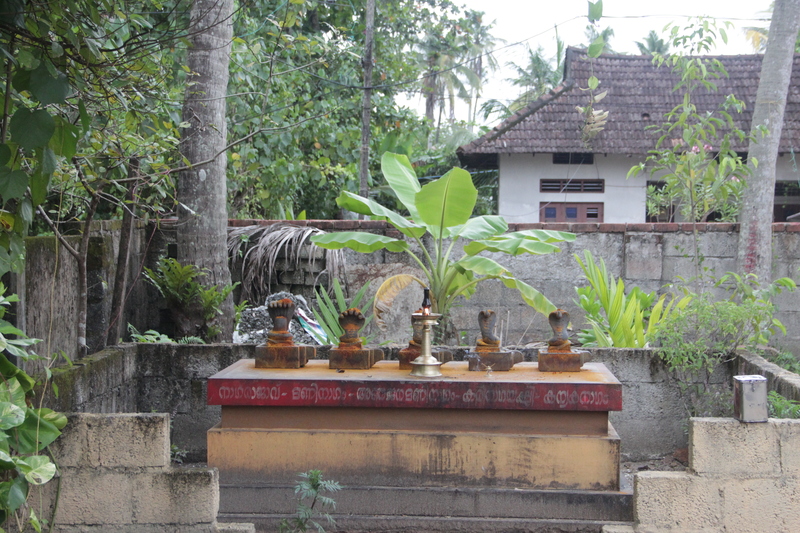 In coastal Kerala one can find several shrines for Kappiri (derived from the Arabic term for a “non-Muslim” person that has been extended to mean “Africans” more generally) in Kochi and throughout the Thrissur region. In Kochi, they are typically unmarked niches on boundary walls but recognizable because of the sorts of offerings left at them, including alcohol and cigars. Kappiri shrines are also found in homes in Kochi. In most cases, Kappiri is represented by a symbolic stone called Kappiri kallu (“Kappiri stone”). In comparison to Kochi, African spirits of Thrissur region are enshrined in local community temples called Kaavu (“sacred grove”). For many believers, Kappiri is their ishta deivam or cherished deity as he can relate to the sufferings of the underprivileged, sick, and troubled people. Yet even though the arrival, survival, and the violent murder of Africans during the Portuguese and Dutch eras on the Malabar Coast are virtually unrecorded, shrines dedicated to Kappiri and faith in the benevolent African spirit keep memories of Africans alive even as the non-Africans who maintain and visit the shrines hope that their lives will be improved by the spirit’s interventions.